Millions of people worldwide are suffering from bowel conditions such as Crohn's Disease, Ulcerative Colitis, Irritable Bowel Syndrome (IBS), Inflammatory Bowel Disease (IBD) and Diverticulitis - also known as "diseases of the gut". Hypnotherapy has been officially recognized since 1958 by the American Medical Association and has continued to grow and show success in the use for many medical conditions such as Irritable Bowel Syndrome (IBS), including hospitals, research centers and gastroenterology practices. "Over 15 years of solid scientific research has demonstrated hypnotherapy as an effective, safe and inexpensive choice for IBS symptom alleviation. Hypnotherapy routinely produces positive results in over 80% of the people who use it. It has been so overwhelmingly successful for IBS symptom alleviation that Adriane Fugh-Berman, MD, chair of the National Women's Health Network in Washington, DC, says that hypnosis should be the treatment of choice for IBS cases which have not responded to conventional therapy." "Mind-body approaches may be key to reducing symptoms of irritable bowel syndrome (IBS), doctors in Germany report. Patients who supplemented standard care with behavioral therapies, including relaxation and coping strategies, fared much better than those who received standard care alone (American Journal of Gastroenterology, 4/00). Other studies have confirmed the benefits of hypnosis for men and women with diarrhoea, constipation, cramps and other symptoms of this common and often disabling bowel complaint. In an earlier Flemish study (Scandinavian Journal of Gastroenterology, Supplement 230 1999), 27 people with IBS were asked to visualize their gut and to replace the discomfort with normal bowel function. One patient, for example, pictured her bowel transforming from a rigid pipe into an elastic hose. After 12 weekly sessions, pain, flatulence, and bloating were reduced or disappeared and bowel habits returned to normal in all but one of the patients. Those who practiced these hypnosis techniques at home with an audiotape got better faster." So how does hypnosis help bowel condtions? Direct hypnotic suggestion has been found effective for helping a wide range of health problems such as high blood pressure, asthma, skin and inflammatory conditions by regulating automatic, unconscious body functions such as blood flow, hormonal levels and so on. These are functions that are normally out of the control of the conscious mind but in hypnosis we can have direct access to the unconscious mind which takes care of all the involuntary body systems. Chronic illnesses and conditions which have a high rate of symptom return after treatment are red flags for psychological factors. You see, if the problem is psychological, surgery will not solve it and the mind will have to figure out a way to re-create the symptoms. Using a professionally written Hypnosis Scriptsfrom Hypnotic World, I asked the client to imagine "soldiers that are preparing to fight for you...the highland regiment of antibodies… to fight for you against the Crohn’s disease… See these warriors growing in number… growing and growing until they outnumber the diseased cells or viruses by millions to one… growing stronger and stronger, more and more powerful by the second." An hypnosis MP3 is available for Crohn's Disease. 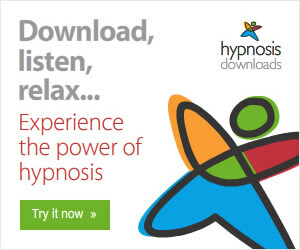 This hypnosis MP3 can be downloaded and listened to at your computer, or recorded onto a CD and listened to in bed or in your spare time for instant benefits. The MP3 is put together by an expert team including Faith Waude, who has over 11 years of experience in hypnosis and trains upcoming hypnotherapists around the UK and Stephen Armstrong, who records Hypnotic World MP3s to the highest quality. 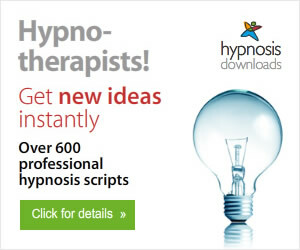 Hypnotic World 600+ Hypnosis Scripts Subscription Highly recommended for professional hypnotherapists. Antonia Harrison is an English Hypnotherapist in Belgium helping people to make positive change. Allergic reactions are one of the most widespread medical disorders affecting Americans at present. An allergy is an immune system response to a stimulus from the environment. The body incorrectly identifies the stimulus as unsafe, and attempts to fight it, causing the symptoms of an allergic reaction. The universal symptoms are an itching or runny nose, wheezing, coughing and irritated eyes. One very prevalent type of allergy is asthma. It is a chronic allergy that directly affects the lungs and airways in the body. The airways are easily irritated by allergens which, causes the build up of a thick lining of mucus. Allergens and other stimuli can bring on an asthma attack, including temperature changes, humidity variations, smoke and pollen. Usually, an asthma attack has various respiratory symptoms, including coughing, wheezing, chest tightness and difficulty breathing. Another symptom of asthma is shortness of breath. Symptoms of an asthma attack are caused by the air passageways reacting to the allergen or trigger. When exposed to a trigger, the air passageways become irritated and narrow, resulting in the respiratory symptoms. These symptoms may range from moderate to ominous, depending on the severity of the allergy. Any asthma symptom can be scary, and should be taken seriously. Asthma is most often diagnosed in childhood, as symptoms tend to manifest by the age of 5. Currently, it affects around ten to twelve percent of all children, and has been steadily mounting. There is no explicit known reason for the increase, but risk factors include exposure to cigarette smoke, other allergies and a history of other respiratory infections. Besides, the odds of being diagnosed are augmented in males and African Americans. At present, there are numerous different types of asthma medications and methods of treatment that may effectively reduce symptoms. Two core types of asthma medication are fast-acting medicine to treat symptoms during an attack, and preventing medicine, which is taken on a regular basis to shrink the risk of having an attack. Short-acting Beta-2 Antagonists (SABAs) are bronchodilators, which is a type of fast acting medicine that facilitates opening air passageways and easing the symptoms of an attack, and are generally given through asthma inhalers. This type of medicine doesn't treat the inflammation that causes an attack, but is helpful when taken during an attack, and will last for 3 - 6 hours after it is administered. Controlling asthma drugs are taken regularly and treats the underlying causes of the asthma attacks. The most widespread types of this medicine are inhalers containing a steroid that reduces inflammation in the air passageways and lungs and Long-Acting Beta-2 Antagonists (LABAs). The effects of long-acting asthma inhalers generally last for twelve hours, and may help reduce the number of attacks that take place during sleep. Various medications have very harsh side effects for some people. Several types of asthma treatment alternative therapies are presently getting more popular. Some alternative approaches concentrate just on preventative care, like not smoking during pregnancy or around kids, including a selenium-rich diet or removing sources of allergy causing substances in the home. Some other treatments include reducing weight, increasing Omega-3 consumption, decreasing Omega-6 consumption, relaxation techniques, acupuncture and hypnotherapy. It is essential to note that any type of alternative therapy is intended to be used along with medical advice, because fast-acting medications are often required for an acute asthma attack. One modality that is becoming more popular is self-hypnosis or hypnotherapy. Hypnotherapy for asthma has the goal of triggering the relaxation response, which can help to prevent or diminish your symptoms when having an attack. Some other alternative types of asthma treatment also employ relaxation methods as a tool to diminish symptoms, such as with meditation programs. Using hypnosis, one can treat the emotional elements of an attack, which have the capability to make it much more severe. It is only human nature to become anxious or feel threatened when we feel our air supply being cut off. This instinctual reaction actually may intensify the severity of an attack. Such feelings of fear and dread about having an attack can really bring on an attack. These emotional causes and responses are handled with the asthma treatment method of self-hypnosis. Hypnotherapy has been proven to be an extremely useful asthma treatment. With a trained hypnotherapist, or using one of the many recorded programs available, you can easily glide into a relaxing state, and start to take charge over breathing and bodily functions. One of the most effective techniques is to learn how to utilize self-hypnosis to actually abort an imminent attack. The self-hypnosis method of asthma treatment is very successful, and may work well for those who cannot take or do not want to take prescription medication regularly. Which asthma treatment you choose depends both on the seriousness of your symptoms and what type of treatment that works well for your symptoms. Alan B. Densky, CH is certified by the NGH. He has perfected several hypnosis and NLP methods that are efficient asthma treatments. His Neuro-VISION hypnosis website offers a broad range of self-hypnosis programs. Visit to enjoy Free hypnotherapy videos, articles, and newsletters. plus cartoons, cars, impact, human, horror and nature. It's common for people in trance to feel that they're not hypnotized, when in fact they are. Often such subjects don't realize how deep they went until they come back to full awakening consciousness. Some people also think that they are 'under the hypnotist's control' but this is not so. They are free to reject or accept suggestions. Tom came for his first session of hypnosis in 1998 saying that he needed to lose some weight but couldn’t stop nibbling in the evenings and he also drank a bit too much. Tom was a lawyer who spent a lot of time dining with clients; as a result he was about three stone overweight. He didn’t seem to have any real emotional issues that needed resolving, it appeared he had gotten into bad habits and lazy ways. He was well motivated to slim and really wanted to get back into sport, which he’d enjoyed in his healthier days. I explained to him that he was always free to accept or reject suggestions and that the proof would lie in his change of eating habits but Tom persisted. During the hypnosis I described how Tom’s arm was becoming so light that it was beginning to float up in the air, and the lighter it became, the higher his arm floated, until his floating arm was way above his head. Then I had Tom open his eyes and look at that floating arm. When he came out of trance Tom told me that it was he who had let his arm float up, that wasn’t proof enough for him. The next time I saw Tom he told me he’d lost about four and half pounds in weight but still wanted some proof that he was actually hypnotized. This time I told him his leg was so heavy that he just couldn’t lift it from the floor. Try as he might that leg would not lift. And the harder he tried the heavier his leg became. But that still wasn’t proof. On the following visit I had Tom imagine himself in a garden where an annoying fly wouldn’t leave him alone, it kept brushing against his face and the itch was so bad that he just had to keep flicking it away. The restless arm was up, trying to flick away that imaginary fly. But that was no proof for Tom. On his next visit Tom told me he was well on his way to achieving his goal - he’d lost nearly a stone now, had no interest in snacking, was eating small, sensible portions of food and exercising more and feeling a whole lot better. He asked for help with his golf as he hadn't played for several years and needed a confidence booster to get him back into it. But he also wanted me to give him one last proof. So I told Tom that when he woke up, each time he saw me pick up my pen he would have to straighten his tie. This he duly did, but reasoned that his tie was crooked and he was going to straighten it anyway (even though I successfully demonstrated this post hypnotic suggestion six times). A year later Tom phoned my office. He was playing golf really well, in addition to several other sports. He was happy with his weight and his confidence was fine, but still he wanted just one more proof of hypnosis. Hypnotic World 600+ Hypnosis Scripts Subscription Highly recommended for those interested in hypnotherapy!